Read the instructions posted on this page to learn how to access the official LIRR job application (online version). Numerous current openings can be applied for by creating an online account and going through the application process. The instructions posted below detail how to create an account, search for current openings, and fill out/submit an application. About the Hiring Organization: LIRR (Long Island Rail Road) is an American commuter rail system in New York. The rail system was created in 1834, and is currently owned/operated by the Metropolitan Transit Authority. The railway system has more than 120 locations along its 700 miles of track. Step 1 – Go to the hiring organization’s main employment site by pressing here. The link will open in a new tab/window. Note: If you want to go directly to the organization’s employment portal simply click the button near the top of this page. Step 2 – Press the “Job Postings” link to go to the next step of the job search process. Step 3 – Type “LIRR” into the search input field/keyword field and then click the search icon to load the list of current job opportunities with the organization. Step 4 – Press the title of the position that you want to submit an application for to go to the next step of the process. Step 5 – Read the job’s description to learn more about the role’s requirements, responsibilities, etc. Press the button as shown in the below screenshot to move to the next step. 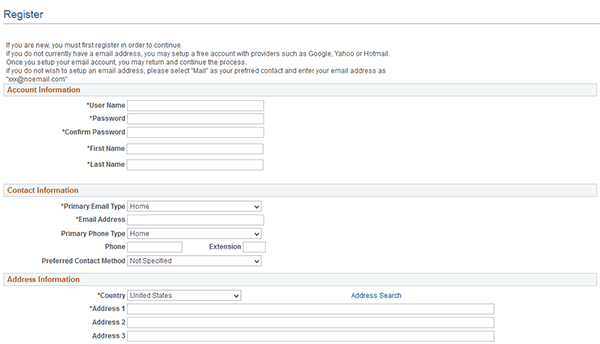 Step 6 – Click the “Register Now” link to go to the registration form. Step 8 – After you have registered an account with the site you will be able to begin the actual application process.